Known as the ‘Gateway City’, Geelong is situated southwest of Melbourne on Corio Bay. It’s the second largest city in the state of Victoria, with an urban population of nearly 200,000. There are several funeral homes in Geelong serving bereaved families and individuals across the city and its suburbs. With just under a quarter of Geelong residents born overseas, funeral directors in Geelong may be experienced in arranging repatriation. They may also be able to provide funeral services for a range of cultures and religious beliefs, including secular or Humanist ceremonies. There are several places with burial and cremation options in and around the city. The Geelong Cemeteries Trust is responsible for many cemeteries throughout Victoria, including Geelong Eastern Cemetery, Geelong Western Cemetery, Geelong Memorial Park and Crematorium, Barrabool Hills, and Grovedale Cemetery. Your funeral director will be able to advise you further on the burial and cremation options available to you in the Geelong area. 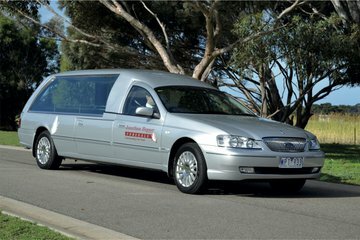 Search for local funeral directors in Geelong now using your area or postcode. You can order search results by best rated, most reviewed or nearest, to compare funeral directors quickly and easily. Click on a funeral home’s profile to learn more about the services they provide, read customer reviews, and get in touch to begin making funeral arrangements for your loved one.